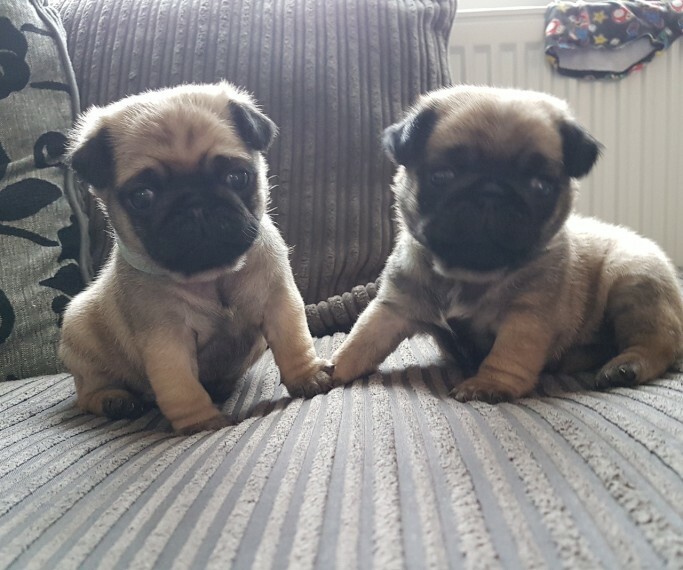 we have 2 beautiful boy pugs for sale. they will be ready to leave on the 4th June. they are being wormed every 2 weeks will have 1st injection and be microchipped. mum is our family pet who can be viewed with pups. pups will come with kc papers and 5 weeks free insurance. they are being raised in our home we have 3 children who handle them daily. 200 deposits to keep pups being taken .